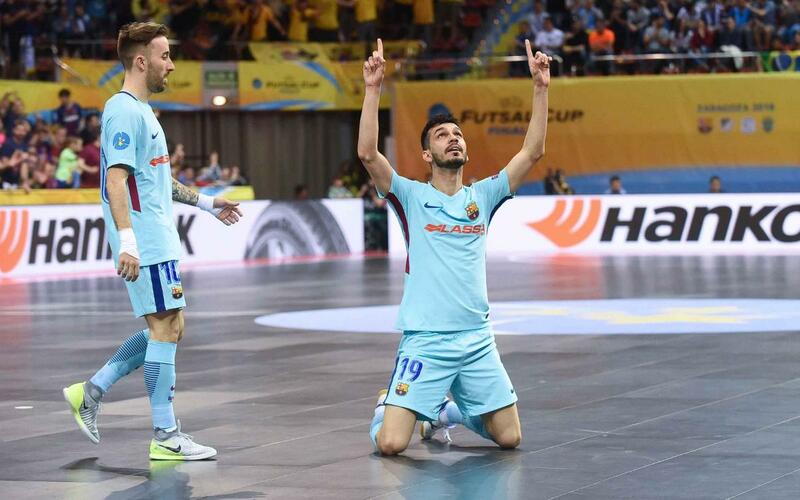 We would much rather have been playing in the final, but at least Barça Lassa were able to end their participation in the UEFA Futsal Cup Final Four in Zaragoza with bronze medals around their necks after thumping Hungarian side Györ in the third and fourth place playoff. There was only one side in the game from start to finish as Esquerdinha celebrated an impressive hat trick, Ferrao contributed a brace and Rivillos and Lozano also got their names on the scoresheet. The opposition's only goal was the work of Alex Constantino, formerly of Barça B. Attention now turns back to domestic affairs, with the Copa and LNFS finals on the horizon.